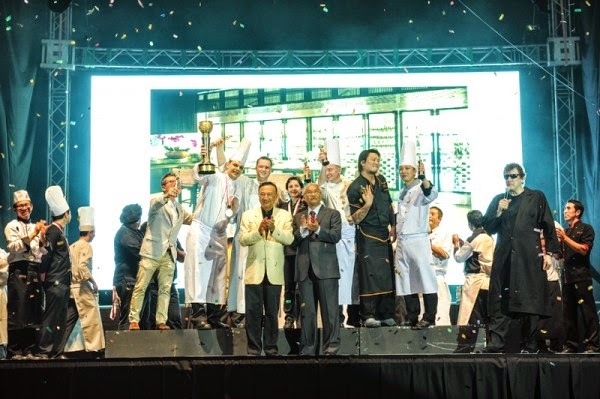 Since the first event held back in 2001, the world renowned Malaysia International Gourmet Festival, MIGF, has established itself as the pinnacle of gastronomic excellence in the region. Into its 14th successive year, the Festival never fails to excite and surprise with both local and international diners eagerly looking forward to see what the Festival has in store. 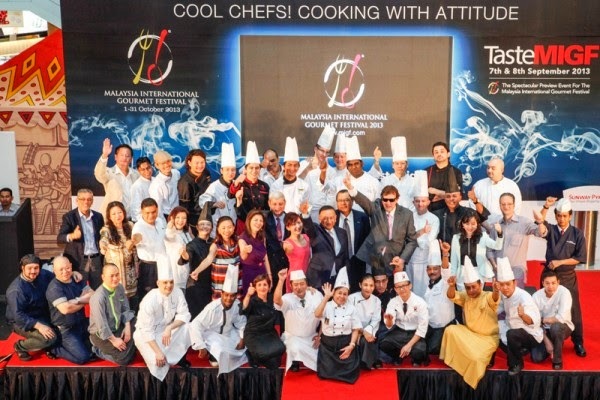 This year, MIGF will take place from 1st to 31st October 2014 with the theme RED HOT CHEFS! For the full Festival month of October, outstanding chefs from the country’s best restaurants will offer diners specially created Festival Menus available at exclusive Festival prices together with a host of generous Festival offers. 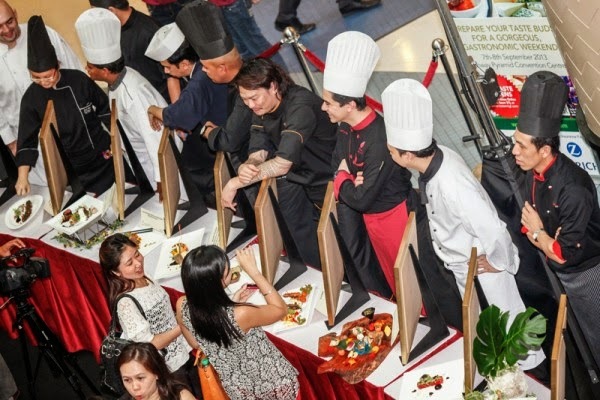 Taste MIGF takes place from 26th to 28th of September 2014 at the Sunway Pyramid Convention Centre. 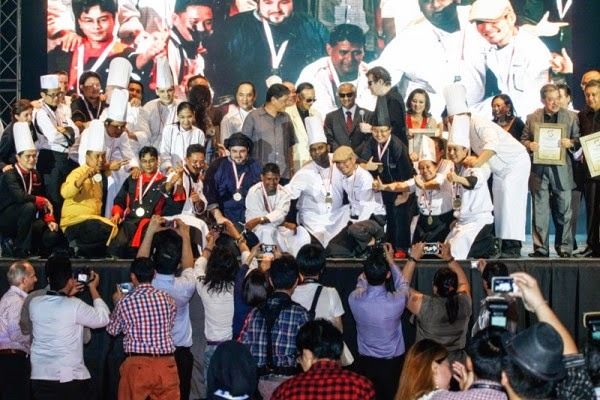 Taste MIGF rivals other world class tasting events and gives diners an idea of what to expect during the Malaysia International Gourmet Festival in October. From 11am to 10pm on Saturday, 27th and Sunday, 28th September, food lovers can partake in a Super Gourmet Safari in one spectacular and specially created location – The Theatre of Cuisines. Here they can buy Gourmet Dollars to exchange for bite sized samples from the Festival restaurants. From 11am to 4 pm on Friday 26th September and from 11am to 10 pm on the weekend of 27th and 28th September, visitors can also shop at the Epicure International Gourmet Village, attend Master Chefs’ cooking classes and enjoy wine appreciation talks and other culinary happenings. A new inclusion this year is the LuxuryPlus Showcase which displays high end properties and investment opportunities among others and provide those present with the opportunity to hear from the industry’s best. Opening hours are as per the Epicure International Gourmet Village. Follow the trail on social media to win great prizes! 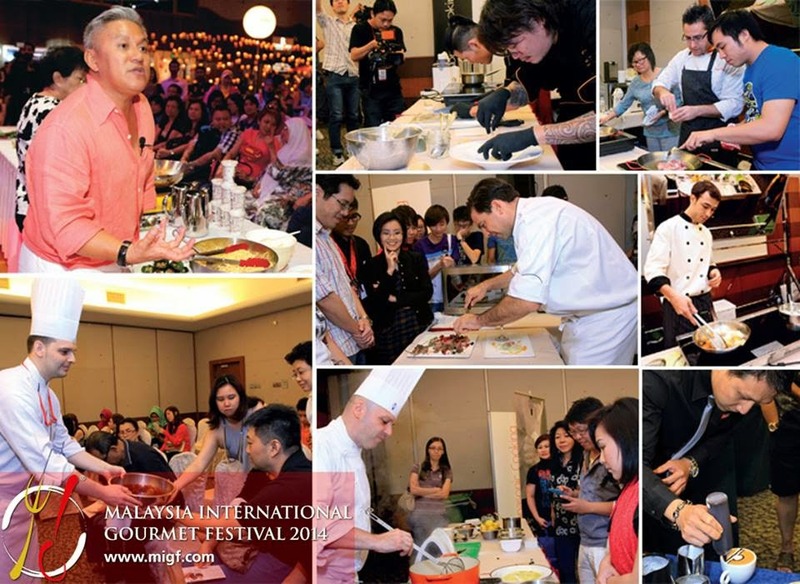 The line-up for MIGF 2014 features restaurants from Malaysia’s premier hotels. Resorts World Genting will feature three of their top restaurants, “Imperial Rama” serving exquisite Thai and Chinese cuisine, “LTITUDE Restaurant, Bar & Lounge” serving Western and Japanese and “The Olive” famous for its Western Continental dishes. KL Hilton’s award winning Chinese restaurant, “Chynna” returns to the Festival along with two new and exciting restaurants, “Graze” serving European cuisine and “Chambers Bar and Grill with Western dishes. Renaissance KL a participant in every Festival since the very beginning has entered their top quality Japanese Restaurant, “Sagano” and famous Chinese Restaurant, “Dynasty”. The Royale Chulan Kuala Lumpur’s Fine-Dining Malay Restaurant, “Bunga Emas” and French restaurant, “L’Heritage” both have exciting menus for this year’s Festival. Aloft Kuala Lumpur’s, “Nook” made its debut last year and was a stunning success with its International and Asian blend of cuisines while Berjaya Times Square Hotel’s prestigious restaurant, “Samplings On The Fourteenth” and Best Western Premier Dua Sentral’s popular restaurant, “Grill 582” return again with first class Western cuisine. The Royale Chulan Damansara Hotel’s modern Japanese restaurant, “Minori” is another returning entrant popular with diners while The Club Saujana Resort have entered their sparkling new open grill restaurant, “Charcoal” which is sure to be a hit. All the way from Langkawi, The Westin Resort & Spa’s signature restaurant, “Seasonal Tastes”, with its healthy International cuisine, will present diners with the ultimate in island dining. Leading the collection of non-hotel based restaurants is perennial Festival favourite, “Cuisine Gourmet by Nathalie” which, along with new entrant “Maison Francaise”, is serving modern and classical French cuisine. 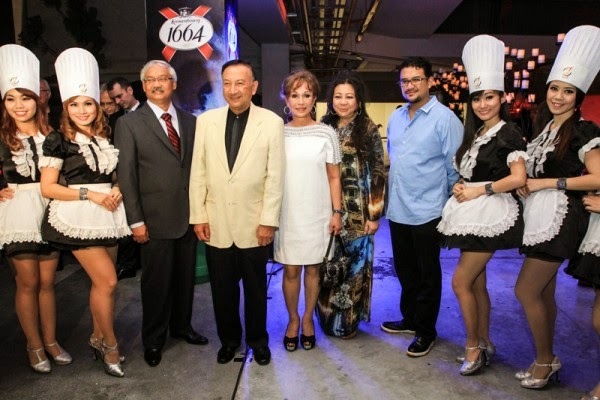 “Marini’s On 57” will offer fabulous Italian cuisine served in KL’s highest restaurant. They are joined by their sister restaurant, “Marble 8” serving Western food and specialising in steak aged to perfection. Also serving Italian food is “Nerovivo” with a focus this year on their fabulous pizzas. Another new restaurant making their Festival debut this year is “La Scala”, already one of KL’s most popular Italian restaurants along with newcomer, “Signature By The Hill” which specializes in Contemporary Western cuisine. “Tanzini”, serving Modern European cuisine, was a big hit with diners last year and is set to ‘wow’ them again this year as will top Japanese restaurant, “Ten Japanese Fine Dining” who bring their own unique flair to the Festival. Returning to the Festival fold after a two year gap is the uber-chic restaurant, “Neo Tamarind”; serving Modern Thai and Indochinese while another returning restaurant is “Aliyaa” serving authentic home-style Sri Lankan Tamil and Singhalese cuisine. *This information is correct at the time of printing but may be subject to change. The spectacular preview event for the Malaysia International Gourmet Festival, TasteMIGF, will take place from the 26th to 28th of September 2014 at the Sunway Pyramid Convention Centre. For one fabulous gastronomic weekend, food lovers can get a tasting preview of the Festival by partaking in a Super Gourmet Safari exchanging Gourmet Dollars for bite sized samples from all the Festival restaurants as they gather in one specially created location – The Theatre of Cuisines. They can also shop at the Epicure Gourmet Village and attend Master Chefs’ cooking classes and enjoy wine appreciation talks and other culinary happenings. A new inclusion this year is the LuxuryPlus Showcase which will display high end properties and investment opportunities among others and provide those present with the opportunity to hear from the industry’s best. In the specially created “Theatre of Cuisines”, where the Festival restaurants are showcased, visitors can buy “Gourmet Dollars” and enjoy a “Super Gourmet Safari” sampling creations from Malaysia's leading chefs as they serve up tasting portions from their Festival Menus. These special portions are big enough to exhibit the creativity of the Festival chefs but small enough to allow tasting as many dishes from as many restaurants as possible. Live music and cooking demonstrations take place, providing a fiesta-like atmosphere for all visitors. The Theatre of Cuisines will open to the public for a fabulous gourmet weekend from 11.00am to 10.00pm on Saturday 27th and Sunday 28th September. Get your Gourmet Dollars First! To go on your Super Gourmet Safari, you will need Gourmet Dollars that have been created with the benefit of diners in mind. They help to minimise queues and delays for people waiting for their change. Gourmet Dollars will be available for purchase on the day of the event itself; however, you can avoid valuable time on that day and enjoy a 5% discount if you pre-purchase Gourmet Dollars at www.tastemigf.com. TasteMIGF will also feature an “Epicure International Gourmet Village”, situated right next to the Theatre of Cuisines. Here, more than 80 purveyors of the finest gourmet food, wines, cigars, and much more, offer their wares in a festive, bazaar-like atmosphere. The Epicure International Gourmet Village will open to the public from 11.00am to 4.00pm on Friday 26th September and again from 11.00am to 10.00pm on Saturday 27th and Sunday 28th September. This is a unique opportunity to get to know the Festival Master Chefs as they share their culinary secrets. There will also be wine appreciation, mixology classes and many other activities throughout the 2-day weekend. 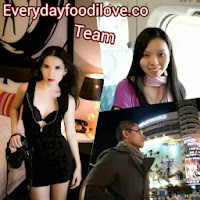 The line-up is still being arranged, however to pre-register early to book your seats, please log on to www.tastemigf.com. A new inclusion to TasteMIGF this year and located on the same floor as the Epicure Lifestyle Workshops, is the LuxuryPlus Showcase & Workshops where all things luxurious will be on display including high end properties, investment opportunities and much more. The workshops will feature talks and invaluable advice by industry experts. The LuxuryPlus Showcase will open to the public from 11.00am to 4.00pm on Friday 26th September and again from 11.00am to 10.00pm on Saturday 27th and Sunday 28th September. So mark the 26th – 28th September 2014 in your diaries! TasteMIGF promises to be a spectacular preview for the month-long MIGF 2014 that will heat up the Malaysian dining scene all through October.